Boston Bruins prospect Kyle Keyser made 36 saves, backstopping the Oshawa Generals to a 3-1 road win in Niagara on Saturday. The Gennies take a 3-2 series lead with a third straight win as Keyser was solid from start-to-finish, closing things out with a 17-save third period. 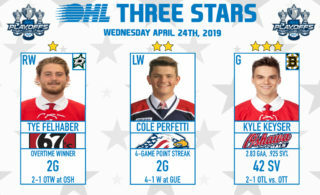 Niagara outshot Oshawa once again but Keyser stood tall behind goals from Cole Resnick, Danil Antropov and Nando Eggenberger. The 20-year-old native of Coral Springs, Fla. is 7-3 in the playoffs with a 2.10 goals-against average and .943 save percentage. The Generals are now win away from advancing to the Eastern Conference Championship Series. Keyser was signed as an undrafted free agent by the Bruins in October 2017. 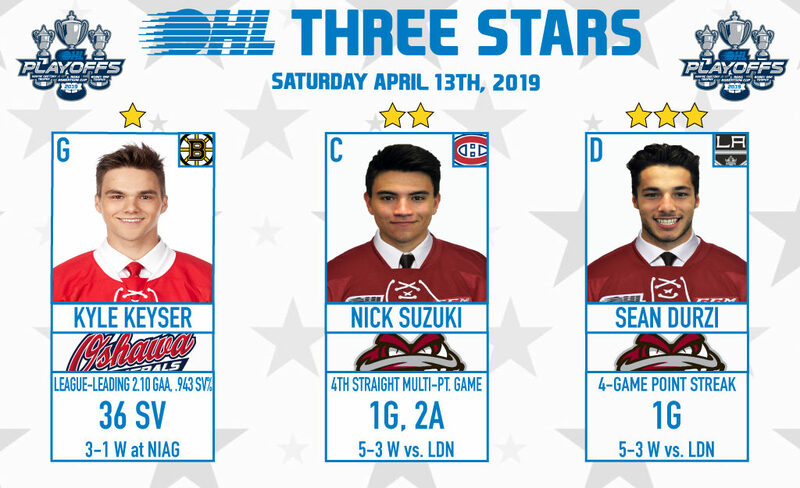 Montreal Canadiens prospect Nick Suzuki put up a fourth straight multi-point outing, scoring while adding two assists as the Guelph Storm defeated visiting London 5-3. The Storm are going the distance after falling behind in the series 3-0. 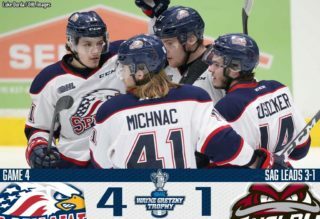 Suzuki, who leads the Storm with 17 playoff points (9-8–17), chipped in with assists on goals by Isaac Ratcliffe and Sean Durzi before hitting the empty net to pencil-in a Game 7 clash on Tuesday night in London. The 19-year-old from London, Ont. recorded 94 points (34-60–94) between Guelph and Owen Sound this season, ending the campaign with 328 career regular season points. Suzuki was a first round pick of the Vegas Golden Knights in 2017 before being dealt to Montreal in September 2018. 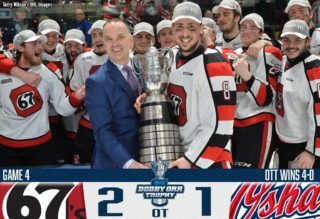 Los Angeles Kings prospect Sean Durzi lit the lamp for his first goal of the playoffs to help the Guelph Storm defeat visiting London. 5-3 and set up Game 7 on Tuesday. Durzi finished off a feed from Nick Suzuki with 18 seconds left in the second period, putting the Storm up for good. The overage rearguard from Mississauga, Ont. has nine points (1-8–9) over 10 playoff contests. 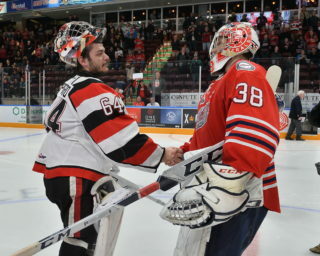 Durzi recorded 37 points (11-26–37) over an injury-shortened 35 game season between Guelph and Owen Sound in 2018-19. He signed an entry level contract with Los Angeles on April 1st after being acquired in a trade with the Toronto Maple Leafs.